AUSTRALIAN Shorthorn seedstock producers are considering a move from the BreedPlan national performance recording system to the International Genetic Solutions’ (IGS) herd recording model. While a final decision is still some way off, Shorthorn Beef members have been involved in a series of discussions on the topic since late last year. 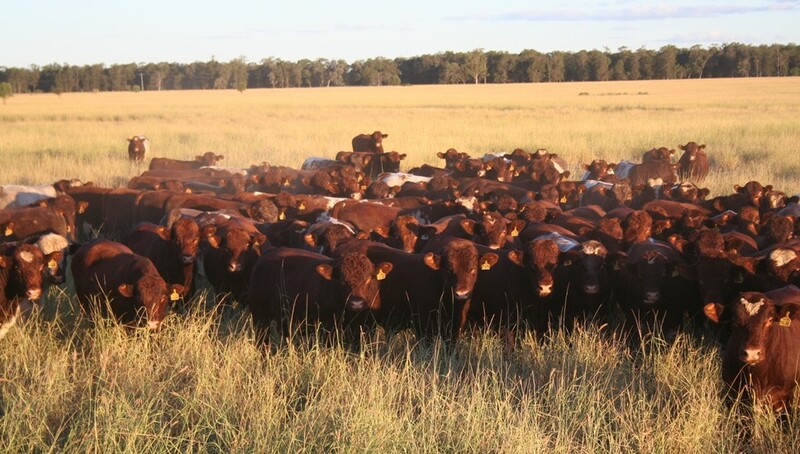 Any final decision to adopt the IGS platform would be considered unusual, as every other significant Australian beef breed is aligned with Breedplan. Some individual Australian seedstock producers independently subscribe to the IGS model, the largest multi-breed performance recording database in the world, with more than 18 million records across about 13 breeds. Beef Central sought some clarification from Shorthorn Beef’s Graham Winnell about where the process is up to. He stressed that any consideration of joining IGS had nothing to do with any lack of confidence or support for Breedplan, but was being driven by commercial reasons within the Shorthorn breed. “It’s a complex process, and we are a long way from the finish line,” Mr Winnell said. “We’re evaluating options. None of this is because of any dissatisfaction with Breedplan in any way. Breedplan is a fantastic herd performance recording system,” he said. “But the world is becoming a global market, and things that were inconceivable 20 years ago are common practice today, and that applies as much to genetics as any other field. Mr Winnell said the reasons for evaluating a move from Breedplan to IGS were ‘pretty specific’ to the Shorthorn breed, and the circumstances it faced in Australia. “As a breed of moderate size in Australia, such a move would greatly change our metrics,” Mr Winnell said. Asked whether the traits measured and the way they were measured, would remain relevant for Australian conditions under IGS, Mr Winnell said many were, while some others would require some adjustment. Certainly the environmental parameters between countries were different, but the whole purpose of performance recording was to remove the environmental factor, to evaluate only the genetic performance. One of the attractions of having Shorthorn cattle across North America and Australia in the same analysis under IGS, would be to help fast-track genomic progress. “We could start to share some of that information, as long as we’re developing pedigree linkages. It would also allow us as a group to reduce some of our overall cost requirement for this performance recording and genomic work,” Mr Winnell said. Perceived challenges included a need to re-educate stakeholders about the IGS model. For example IGS uses imperial measurements (pounds, inches) instead of metric. “But having said that, there are certainly breeders who want us to be absolutely sure that this is a good thing to do,” he said. Great initiative by Shorthorn Beef to have a global standard to compare cattle both from different countries but also different breeds. I hope to see more breeds follow suit in the coming years. I couldn’t agree more. Breedplan is very, very expensive. I know the hereford breeders have paid in millions of dollars over the years to breedplan for very little, when you consider all the data is all entered by the Breed Society.